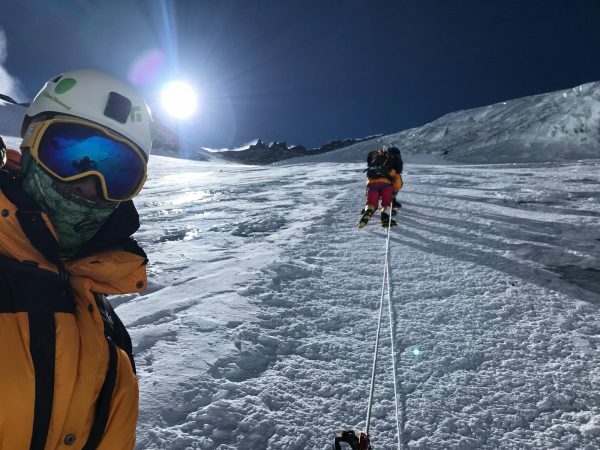 Pre-summit waiting game and rest days. 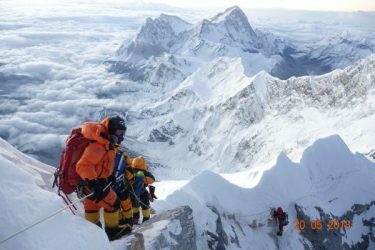 With the final acclimatisation rotation complete, it is now a waiting game for the Everest expedition team's summit attempt. 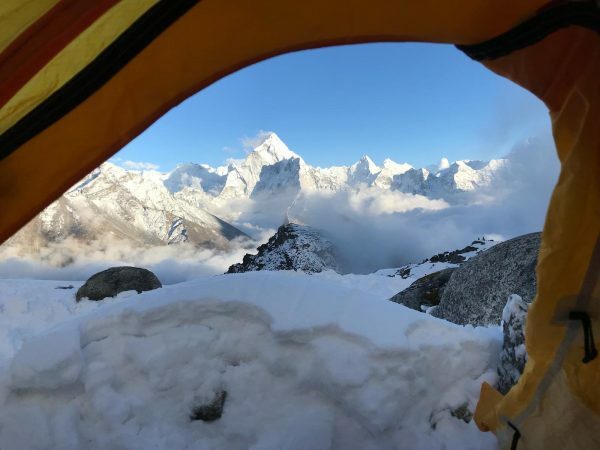 After a thunderstorm across Base Camp, Brad has helicoptered to Namche to spend a few days in thicker air resting and enjoying coffee. 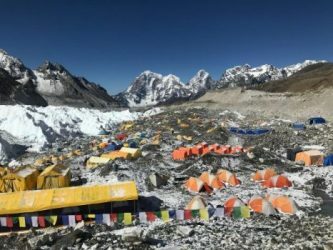 Everest Ice and Ropes School - Update 13. We spent some time on a ropes circuit practising all techniques we will need to employ further up. Tomorrow we head into the icefall up to the first ladder which is about two thirds up. Looking forward to it. 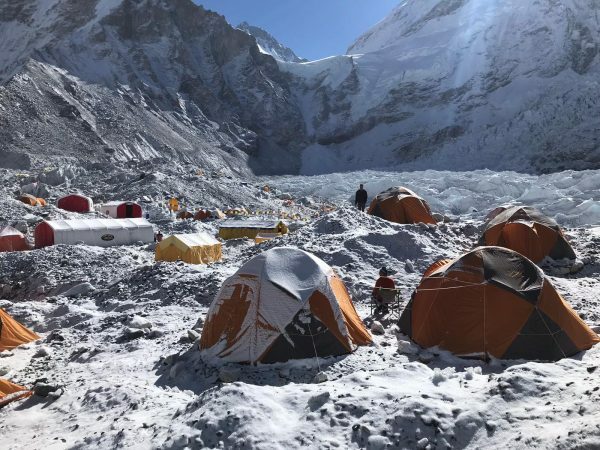 Today was another rest day at Everest Base Camp. That said it was a significant as our “puja” ceremony was held. 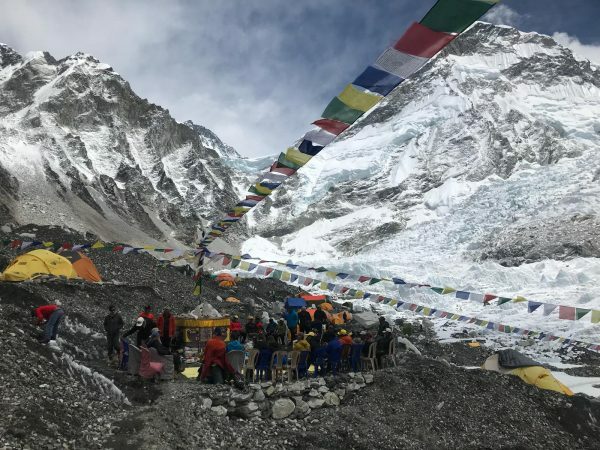 Read about this blessing ceremony for our mountain climbing ahead. 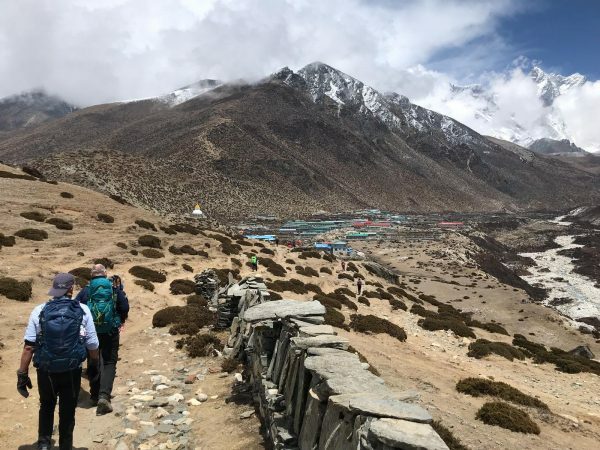 We have arrived at Dingboche at an altitude of around 4410 metres. All is going well. The weather is sunny and windy at the moment but looks like some cloud might be coming in.